Become a Skilled Nurse Practitioner in Pediatrics. Online CCNE Degree. The Master of Science in Nursing (MSN) with a Pediatric Nurse Practitioner (PNP) concentration is one of several advanced practice registered nursing (APRN) degrees available to nursing professionals. With its focus on pediatric care, the PNP is intended to provide the skills and knowledge necessary to care for children between infancy and adolescence in an acute or primary care setting. The PNP is intended for registered nurses (RNs) who want to boost their professional expertise to enjoy a greater degree of autonomy and more varied career opportunities. Most RNs will have been practicing for a few years before embarking on a PNP. How do I choose a PNP degree that's right for me? Different schools have different curricula and specializations to offer. 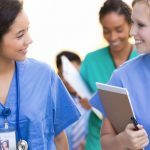 Although it’s important to make sure that your PNP graduate degree is regulated by either the American Association of Colleges of Nursing (AACN) or the Pediatric Nursing Certification Board (PNCB), there is still considerable freedom to pick a program that’s in line with your individual preferences. Specializations typically include acute or primary care, and students may be able to tailor their degree further by choosing programs with elective course options. You may wish to consider a school’s national rankings. Although some schools are ranked more highly than others, rankings should be just one factor in your decision-making process. Some lower-ranked nursing programs may even have stronger pediatric programs than their higher-ranked counterparts. Some students prefer to learn in a cohort, on campus, and studying full-time. Others may prefer distance learning with a flexible schedule that fits around their existing commitments. PNP providers offer an enormous diversity of program options, which enable students to combine work and study or simply concentrate on coursework, depending on their preferences. Often an institution will provide the same learning material in a range of delivery methods, making it accessible to a wide audience. When deciding on your PNP program, it’s important to consider which method of course delivery is going to work best for you. Pediatric nursing involves providing care to children and adolescents, usually from birth through early adulthood. A PNP can help prepare advanced practice registered nurses to face the health challenges of patients from infancy through adolescence. Program selection normally depends on career goals as well as current qualifications and skills. PNPs are part of a group of nursing staff known as advanced practice registered nurses (APRNs). Although the main parts of the curriculum will be fairly consistent between schools due to accreditation requirements, there are often significant differences between programs, which can make one more accessible and appropriate than another. Some schools are more prestigious than others, though there are numerous other factors to take into consideration before selecting a PNP graduate program. Some providers expect students to start and finish their program with the same group, or cohort, of fellow students. Non-cohort learning routes allow students to progress at their own rate. Online programs tend to be non-cohort, whereas many on-campus programs offer a cohort option. Synchronous learning involves the lecturer and students all being in the same place at the same time, either online or in person. Asynchronous programs allow students to complete the learning at a time and place that fits around their other commitments. This can be more manageable for students who have pre-existing work or social commitments. Although the curriculum delivered by an accredited school will have commonalities with similar programs elsewhere, individual variations can make a significant difference when trying to decide which program is most appropriate. The U.S. faces a shortage of skilled primary care professionals, which has grown more significant. As demand is predicted to continue growing, demand for PNPs and similar professionals is also likely to remain high. The mean wage for an APRN is estimated to be somewhere between $73,238-$119,410 according to Payscale  and $101,260 according to the BLS  with pay rates varying between states. The PNP degree followed by certification and appropriate licensure can lead to career opportunities in a wide range of health care settings. Depending on their interests and skills, PNPs can also access a range of specialist job opportunities, including research, oncology, infectious diseases, and orthopedics. What are the key learning objectives of a PNP? Perform accurate and competent assessment and diagnosis of illness in infants, children, and adolescents. This includes advanced psychosocial investigation as well as physical assessment. Analyze and interpret a variety of test results and data from other sources of testing to inform an accurate diagnosis. Create an appropriate treatment plan (including referral to other professionals or agencies if required, prescriptions, and other interventions) that’s tailored to the needs of each child. Deliver appropriate health promotion and disease prevention advice, support, and additional assistance to the patient as well as caregivers and others involved in the health and well-being of the child. Integrate nursing theory with practice to deliver a high-caliber level of care. Communicate with the patient, caregivers, other members of the multidisciplinary team, and other agencies as appropriate. The learning objectives will also vary depending on whether the PNP is focused on primary care, acute care, or both. Generally, the degree consists of a selection of core courses, along with a number of elective courses that allow students to gain greater knowledge in a subject area in which they are particularly interested. The core competencies are common to both the PNP-PC and the PNP-AC concentrations, but courses for the former focus on primary care, whereas the latter are centered around acute care. In this competency, students consider topics such as nursing ethics and philosophy, and application of research. To acquire this competency, students study topics such as pharmacology, the mechanisms of disease (pathology), advanced assessment, interpretation of symptoms, and the interpretation of lab tests and other diagnostic tests. This includes health promotion and disease prevention, as well as the appropriate use of prescription medicine and other interventions, consideration of a multidisciplinary approach, continuity of care, and long-term management. Students learn not only how to undertake a range of developmental screening assessments, but also how to interpret the results and the appropriate responses depending on the findings. Students continue to acquire the skills needed for team management and other competencies which are desirable in a senior member of the nursing team. In addition to the core courses, many schools also offer electives. These normally include a range of relevant learning opportunities which complement the core curriculum and add additional breadth to a student’s learning experience. Typically, elective courses must be aligned to the PNP program. There is normally a requirement that students complete an extended piece of research as part of their PNP graduate degree program. This may be a project rather than a thesis, but will involve a significant amount of independent research and study. An elective is an optional class students undertake in addition to their required learning to add breadth to their studies. A specialization consists of a number of classes which, when taken together, provide depth of learning within a narrower field than the more generic core courses. What’s the difference between a PNP that offers electives or specializations and one which doesn’t? A program that offers specializations provides students with the opportunity to customize their learning in line with their individual interests, skills, and career goals. A program with little or no elective learning offers little choice in terms of content but may have a more varied curriculum, which encompasses material that other schools offer in the form of an elective. One of the most significant choices PNP students will make before starting their graduate program is whether to opt for the acute care or primary care concentration. This choice immediately results in a level of specialization, as there are significant curricular differences between the two. Once a student has decided whether to concentrate on acute care or primary care, there are a number of further electives or specializations that are usually open to them, depending on the school. Will this elective enhance the likelihood of achieving my career goals? Is it eligible for inclusion in the PNP program I’ve chosen? Will it assist with the core part of the program? Is it logistically compatible with the existing program load? Is it at the right level for my ability? Does it potentially open up fresh possibilities for further learning or research? Am I interested in this elective? Often, a program leader can offer valuable advice on suitable electives, perhaps suggesting relevant possibilities you may not have considered. When considering which specialization to choose, it can help to look at labor market statistics to determine which pathway might offer the best career opportunities. The increased need for primary care staff means that specialties involving family care are likely to present a wide range of career prospects. AANP research indicates that 83.4% of nurse practitioners are certified in primary care  — indicative of the demand in that field. Experiential learning is an opportunity to use theoretical knowledge in real-life situations, make real observations to fit into theoretical frameworks, and provide opportunities for further learning from other practitioners in the field. Fieldwork provides an opportunity for experiential learning. Although the terms “fieldwork” and “placement” may be used interchangeably, many institutions refer to fieldwork as the practical experience undertaken by students during the earlier parts of their program (when the emphasis is on learning rather than practice). Face-to-face clinical practice experience is an essential part of the PNP degree. Although the requirements regarding the number of clinical hours, type of placement, and other factors can vary depending on the school, practical experience is seen as pivotal to acquire the skills necessary to reach nurse practitioner standards of competence. How do I set up a clinical placement? Most schools offer assistance setting up this clinical practice. If a student is already working in a suitable setting, it may be possible to arrange a placement at their workplace. The number of clinical hours varies by school. While it is possible to complete the classroom part of the program without placements, it is only in exceptional circumstances that a candidate might be considered for graduation without having completed the requisite number of clinical hours. Will I be paid during my placement? Generally, nursing placements that are designed to allow students the opportunity to enjoy experiential learning are not paid. Although this isn’t invariably the case (some may pay a basic wage), students need to prepare themselves for potentially working in an unpaid capacity, and they should budget for additional traveling costs, if required. What support do I get during my placement? Usually, program providers have a clinical practice coordinator responsible for finding suitable placements for students, as well as monitoring their performance, resolving any issues that emerge, and helping students enjoy a positive experience that adds value to their learning. There is also usually a senior member of the staff at the clinical placement who acts as a primary contact for students. Based on multiple PNP programs, you will typically be required to complete between 14 and 16 courses, comprising about 40-42 credit hours. Your program’s composition will vary, but likely components of the curriculum include required or core courses, elective courses, and a capstone or experiential learning option. Generally, pediatric NP students have already decided to specialize in pediatric nursing at a higher level and will choose a graduate degree that allows them to do this. There is no direct alternative to the PNP degree. Some students will opt for the Doctor of Nursing Practice (DNP) rather than the PNP, but the DNP is a higher-level academic degree. For someone interested in qualifying as an NP, there are also graduate nursing specializations to be considered. At the other end of the spectrum to pediatrics, this can include undertaking an MSN in Gerontology, which is in demand due to the aging population. Those who still wish to be involved in the care of babies could opt to qualify in neonatal or prenatal nursing by undertaking the MSN in Midwifery or the MSN in Neonatal NP. Certification is achieved by passing the Certified Pediatric Nurse Practitioner Primary Care or Acute Care exam, administered through the Pediatric Nursing Certification Board (PNCB). Before candidates can apply for licensure, they must obtain the Certificate of PNP-PC or PNP-AC from the PNCB. This allows nurses to take the title of CPNP-PC/AC. Certification takes place at the national level and is universally required to use the title CPNP, regardless of the state in which they practice. Although many students who sit for the CPNP qualifying exam have completed the PNP-PC or PNP-AC graduate degree program, any master’s-level nursing degree or higher will allow for eligibility. 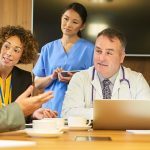 Before candidates can sit the CPNP exam, they need to provide evidence that they have completed a doctorate, postgraduate, or master’s degree that complies with the parameters laid down by the Accreditation Commission for Education in Nursing or Commission on Collegiate Nursing Education for the PNP program. To be eligible, a program must incorporate at least 500 supervised clinical hours. Licensure is a state-mandated process which effectively grants permission for a PNP to practice in that state. Prior to the 1850s, children were generally cared for at home, often without any formal medical intervention. The introduction of specialist nurses who cared for children is widely thought to have come about due to the opening of the Children’s Hospital in Philadelphia in 1855. Subsequently, a number of hospitals devoted to the needs of children were opened across the country, all of which employed nurses who developed specialist skills. Early pediatric nurses were also heavily involved in preventive work and health promotion, working in community settings to improve infant and child health and well-being. Pediatric nurses were first certified in 1977 by the Pediatric Certification Nursing Board. In some circumstances, all or part of a loan used to gain the PNP degree can be written off through the loan forgiveness program. Eligibility depends on the type and duration of employment undertaken after study is completed, as well as regular repayments. Can I work at the same time as I learn? Students normally find it challenging to combine full-time study with full-time work. However, there are alternatives to full-time on-campus study. Many campuses offer part-time learning or you can opt to undertake an online PNP master’s degree which often have more flexible timeframes. If an online program has an asynchronous format, you can study at the times that best suit you, allowing you to schedule your learning around your employment and meaning you don’t have to sacrifice earning a living. However, flexible learning could mean it takes you longer to complete your studies, so bear this in mind when budgeting. Will I need to travel for my clinical placements? If there is a placement opportunity near to you, travel will be minimal. In some circumstances, particularly if you live in a rural area or location where there are few opportunities to conduct clinical practice, you may need to travel to undertake your placements. Pediatric nurse practitioners are Advanced Practice Registered Nurses (APRN) and MSN holders who are licensed to provide medical care to children under the direct supervision of a medical doctor. Are there different types of MSN-PNP degrees? This degree is for registered nurses who want to earn an MSN that’s focused in pediatrics so that they can prepare for certification by either the Pediatric Nursing Certification Board (PNCB) or the American Nurses Credentialing Center (ANCC). Check with your State Board of Nursing for guidance on which certification to pursue. Upon certification, pediatric nurse practitioners can work directly with patients in a variety of settings, including hospitals, doctor’s offices, and urgent care facilities. A career as a pediatric nurse practitioner can be fulfilling and demanding. Important traits of a successful PNP include compassion, patience, critical thinking, good communication, organization, and attention to detail. 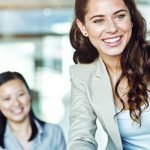 Why should I earn an MSN-NP degree? There is a growing need for pediatric nurse practitioners. Currently only 6.4% of nurse practitioners specialize in pediatrics. Pursuing your MSN-PNP can position you to join a narrow field. If you want to become a pediatric nurse practitioner, you must, at a minimum, have a master’s in nursing degree that specializes in pediatrics. What are the key attributes to look for in an MSN-PNP degree? Accreditation: Is the program accredited by CCNE or ACEN? Interactive learning: How is the program structured to help you apply the curriculum? Faculty expertise: Does the faculty have a strong theoretical and practical knowledge base in the field? Generally, there are supplementary costs apart from tuition. Tuition does not usually include the cost of books or additional fees. These additional costs will vary from program to program. How do I ultimately decide if a particular degree program is worth the cost? Start with a cost-benefit analysis based on the price of the degree and potential ROI. Weigh the full cost against the positive outcomes you expect as a graduate, which may include a boost in earning potential, upward mobility, or increased job satisfaction. Are there any differences between an MSN-PNP degree and others that might sound similar? Yes. There are a variety of MSN degrees that prepare nurses for varied NP certifications. A nurse practitioner can specialize in many different areas, and pediatrics represents only one option. Other common NP specialities include family, gerontology, and psychiatry. Do I need a specific GPA to apply? Most MSN-PNP programs at the master’s level will require applicants to be working as a registered nurse with a minimum of a BSN (Bachelor of Science in Nursing) degree. GPA requirements can vary by program. There are many programs that do not require a GRE/GMAT. Check the admissions requirements for your school before applying. Do I need to have background in nursing? Yes, you must be a working registered nurse with a minimum of a bachelor’s degree in nursing (BSN). Some programs will accept registered nurses without a bachelor’s degree, but will likely then include a bridge curriculum to catch you up to the MSN level of study. Most MSN-PNP programs require a minimum of a bachelor’s degree in nursing (BSN) to apply. Others provide a bridge curriculum to accelerate earning your MSN from the ADN level. When selecting your pediatric nursing program, you should look for a curriculum that aligns with the Pediatric Nurse Practitioner Acute Care or Primary Care core competencies as defined by the National Organization of Nurse Practitioner Faculties. Another important consideration is whether the curriculum meets the requirements for your certification exam from either the American Nurses Credentialing Center (ANCC) or the Pediatric Nurse Certification Board (PNCB). Both certification boards require courses in advanced pharmacology, advanced pathophysiology, and advanced physical/health assessment. What is the program length to complete the MSN-PNP program? Program length will vary, but typically require between two to four years to complete. Support for finding a preceptor will vary based on the university. The institution may or may not have a list of affiliated sites/personnel. It’s best for MSN-NP students to be prepared to secure preceptors for your clinicals. Inquire with a guidance counselor about the support provided for students when finding a preceptor. No. Your MSN-NP degree will not specify that it was earned online. What are some specializations or concentrations that pediatric NP degrees might offer? An MSN-PNP may offer sub-specializations in either acute care or primary care nursing. Acute care includes complicated acute and chronic health conditions, while primary care focuses on promoting health and managing disease. What are the types of careers people with an MSN with a Pediatric Nurse Practitioner concentration pursue? Pediatric nurse practitioners can work in a variety of health care settings, including hospitals, doctor’s offices, and urgent care facilities. What is a possible salary for MSN-PNP graduates? In 2016, the mean, full-time base salary for an NP was $102,526. Geographic location, years of experience, and practice setting all factor into how NP salaries vary. What makes advanced pediatric nursing a promising career field? What is the most important accreditation for the MSN-PNP degree? How will an accreditation help as I move forward in my career? Attending a master’s-level program that is accredited by CCNE or ACEN is required to obtain certification by the Pediatric Nursing Certification Board or the American Nurses Credentialing Center.